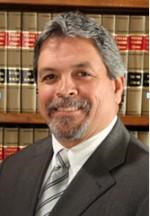 Claudio Flores, Jr., attorney at law, celebrates his twentieth year in private practice. I have always taken a straightforward approach with my clients, listening carefully to their questions and concerns. Flores has protected the rights of people throughout west Texas since 1996. Flores also recently ended his term as president of the El Paso Family Law Bar Association, where he served as president for two years and treasurer for the prior seven years. “This gives me more time to devote to my family law practice,” said Flores. As a family law specialist, Flores represents men and women throughout the divorce process, whether they are considering filing for divorce or are already party to marital dissolution proceedings. He helps his clients resolve all matters related to or arising out of divorce, from differences over child support and parenting plans to property disputes. “I also advise people during the adoption process,” said Flores. For more information or a free initial consultation, call 888-813-0709. About Claudio Flores, Jr., P.C. In addition to family law, Claudio Flores, Jr. defends individuals charged with felonies or misdemeanors, including DWI or drinking and driving, domestic violence or abuse, theft offenses and violent crimes, including homicide, manslaughter, and assault and battery. He also handles matters of probate. The law office is located at 521 Texas Ave., El Paso, TX 79901.